With the battles I have had to face in my life, there were multiple opportunities for me to give up. With the way I was treated as a young child and the death of my mother and sister, I could have crumbled under the weight of the pain I was in. Instead of breaking, I decided to create. This is when Victor Innertainment was born. I chose to take my pain and use it to put better things out into the world. I wanted to create a platform for children to know that they do have a voice, and that they’re not at the whim of the circumstances they were born into. 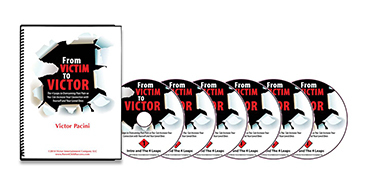 I was able to create Victor Innertainment to help children understand what good touch and bad touch is, and to help parents and teachers stop child abuse. My child abuse prevention program serves a purpose. It’s meant to teach children that they should be heard as well as seen. That the voice they have is important and that they should use it to gain inner strength. I believe that my child abuse prevention programs have not only helped children to find the voice they have been desperately seeking, but I’ve also helped parents to have peace of mind. As I work to teach both parents and teachers alike about how to stop child abuse, it makes everyone feel like they have a safeguard when they can’t be there for their children. Whether it’s a parent knowing that their child is being heard in school, or a teacher knowing that their student is being treated well at home, everyone involved in these good touch bad touch programs are satisfied. Dedicated to helping students understand the importance of setting goals and following their dreams and never giving up despite the challenges they might face. 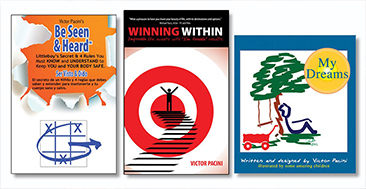 Books that promote self-esteem, confidence, goal setting, creativitiy, and delicately start the discussion about the dangers of sexual abuse.